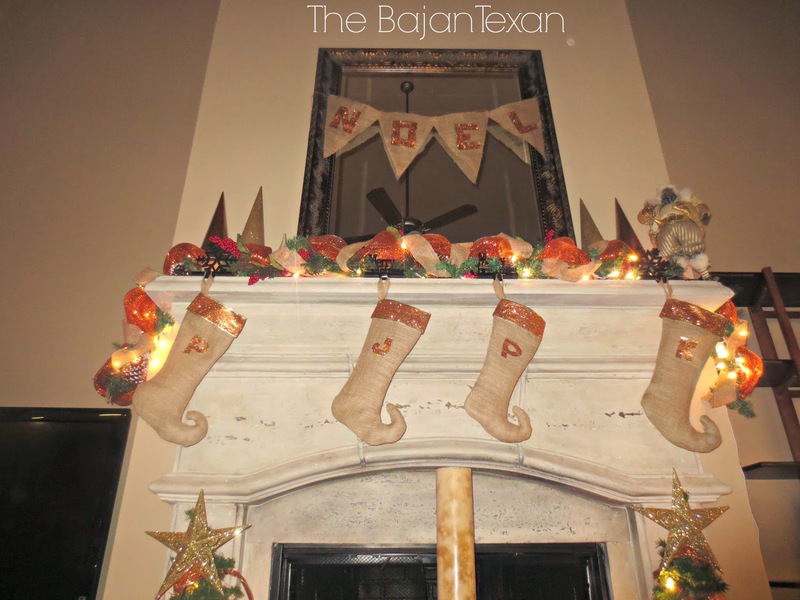 Well here it is our DIY holiday mantle for 2013. 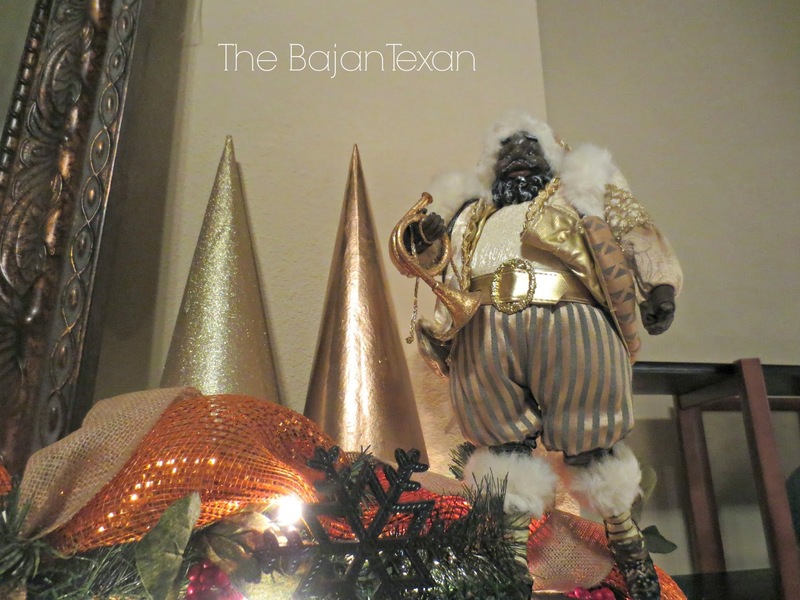 I decided to go with the colors of our tree which are copper and gold, add in some burlap for contrast and I think it came out great. 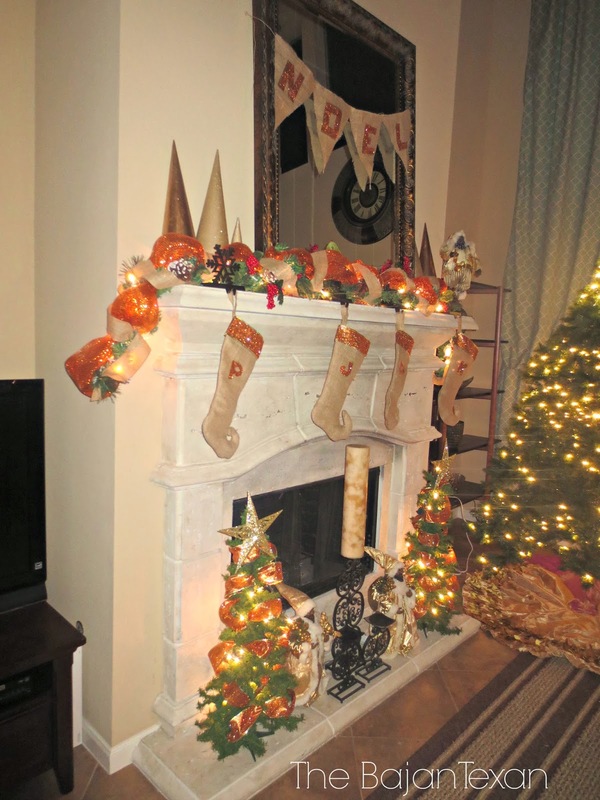 There are a lot of little projects that came together for this DIY holiday mantle. 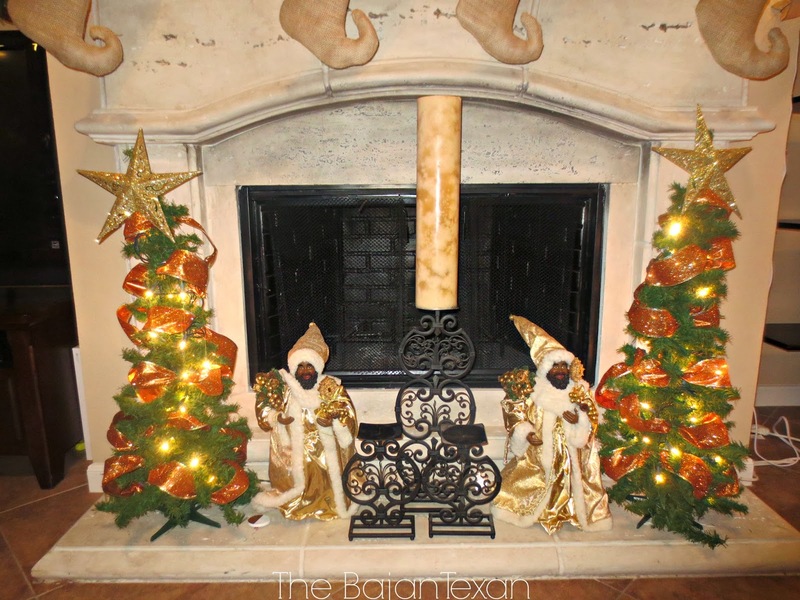 Paper Mache trees in copper, gold glitter and yarn, see below! 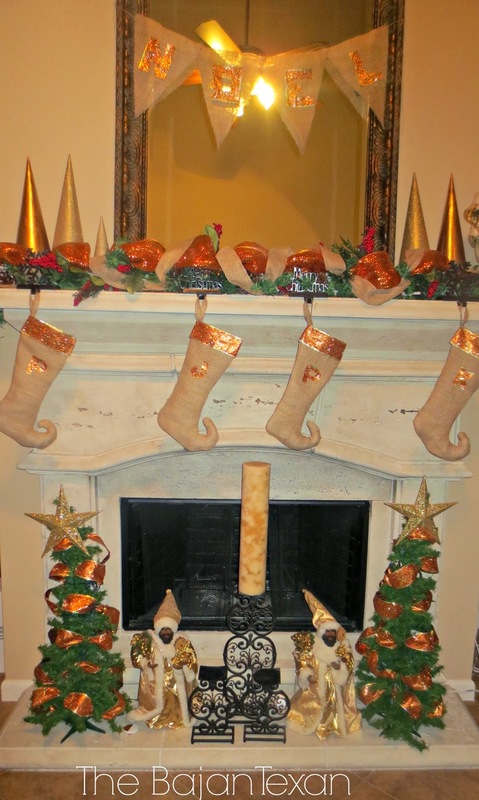 Now enjoy more pics of the mantle. My cousin Wendy gave me the candle holders, I am thinking I may spray paint them copper or gold. What do you guys think? I also need some more candles. I used this copper and gold wired ribbon for a lot of the projects. 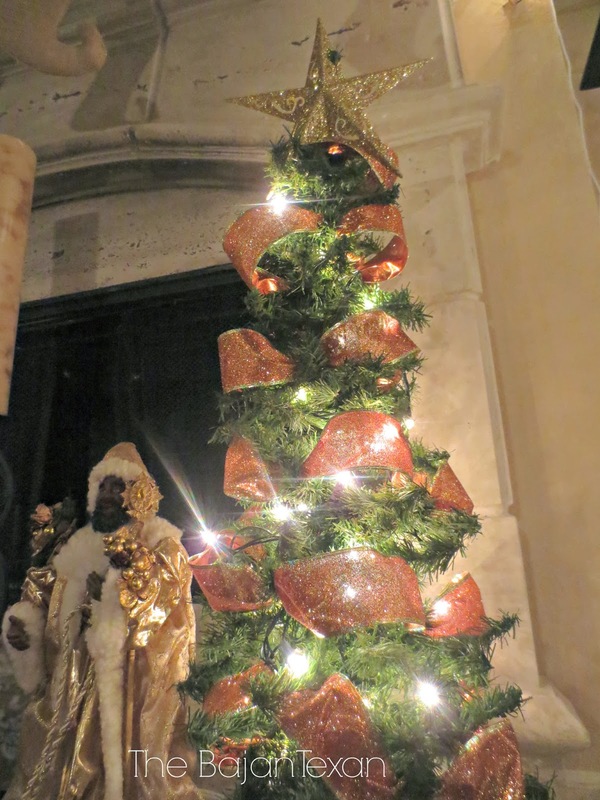 Also those star ‘tree toppers’ are actually just cheapo star ornaments from dollar tree. 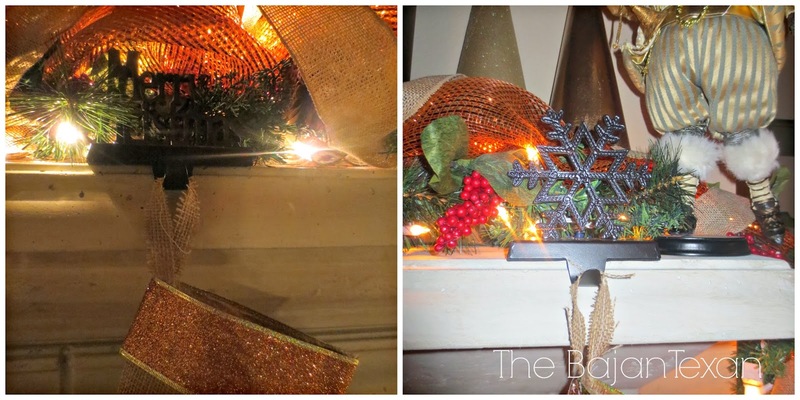 We the adults have the snowflake stocking holder and the twincesses have the merry Christmas holders. You know all those expensive trees in the stores, I have been eyeing some at target for the longest at $20 a piece…not happening. I found these paper mache cones at Michaels for 99c each. Yup less than a buck! Now we’re talking lol All I did to jazz the bigger ones up was spray paint. I used copper spray paint for one and found this really kool gold glitter spray paint for the other. Yes thats right the glitter is already in the paint. I know freaking amazing. For the smaller trees I wrapped some yarn around it for a more textured look that complimented the burlap. I think they came out great! Up next the xmas tree and I gotta hide those cords! 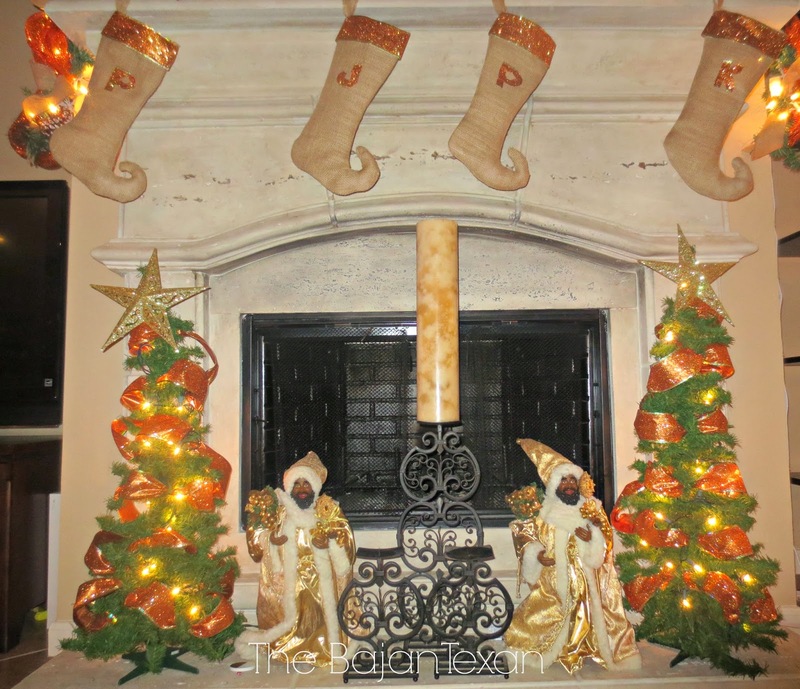 Please leave a comment if you like the mantle! And check back often for more of my Holiday Series. Beautiful! I love the Noel banner. Love it all…. Thanks Shau! It is really putting me in the xmas spirit! Now to tackle that xmas tree, its hard trying to get all this done after the twincesses go to bed! Super cute!! Love the stockings. Thank you so very much for checking out my blog, it really means a lot to me that you took the time to comment. Hi! 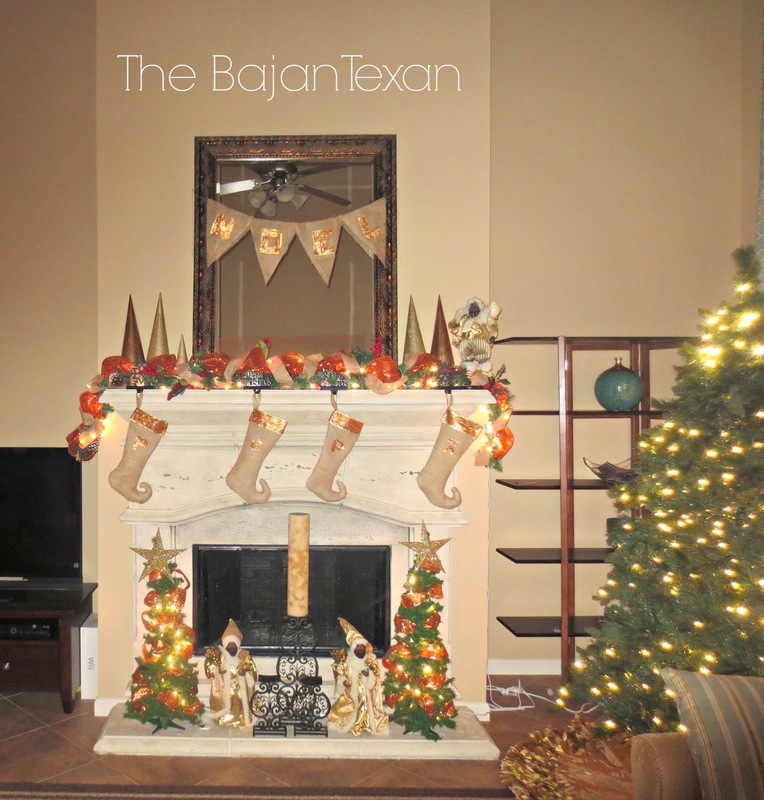 I recently found your blog and I love your Diy projects. I'm a crafting, twin mama too so I can totally relate! 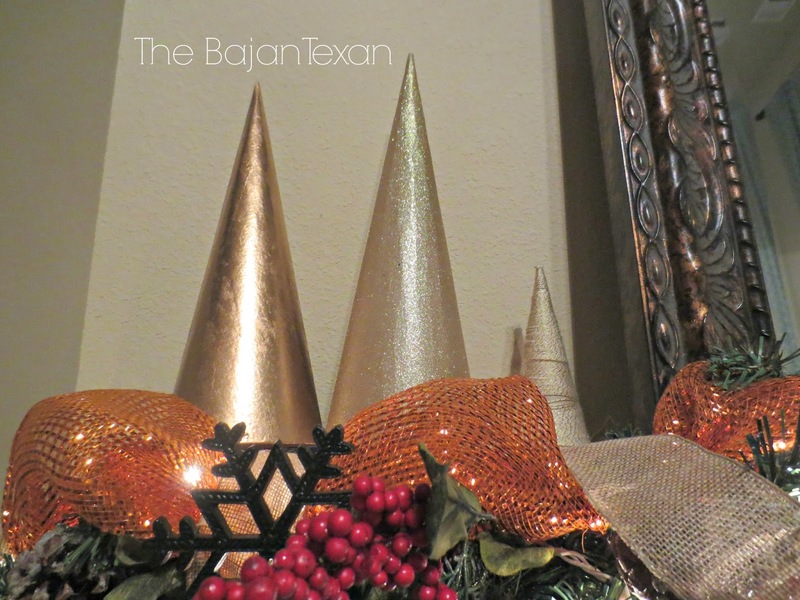 I'll be making your mesh garland this weekend. Thanks for the tutorial! So great to have another twin momma on the blog as well. I hope to post some more twin related posts really soon.